Are you going to choose the blue pill or the red pill? Convenience is not a factor in your decision. It’s a choice that, in a small way, defines who you are and what kind of city you want to live in. New York use to be full of red pills, like the one on the left. But for whatever reason, they are disappearing and being replaced with blue pills, like the one on the right. 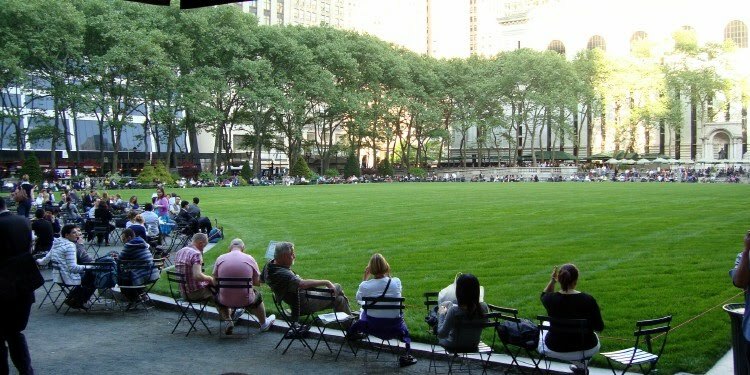 This is Bryant Park, right behind the big library on 42nd Street and 5th Avenue, with the new sod all laid out. 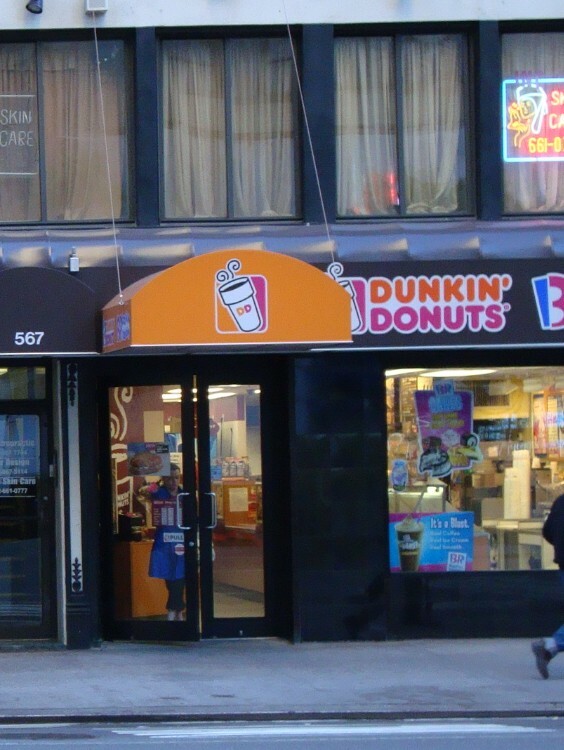 Can you old-time New Yorkers pick out what’s odd about this sod? 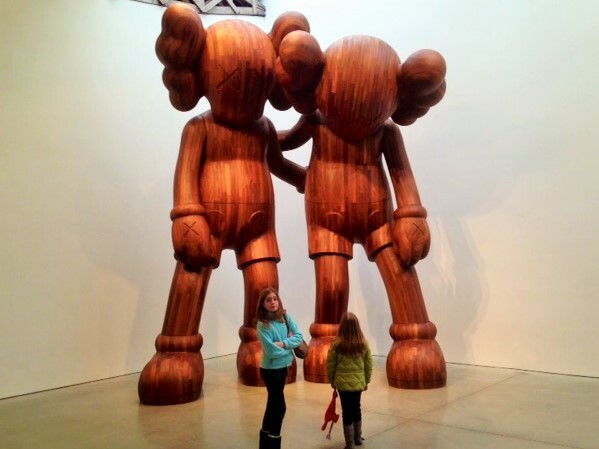 What’s the biggest surprise in these photos? The shock is that nobody is ON THE GRASS! The lawn is surrounded by an ankle-high orange rope and small signs imploring people to stay off the sod and allow it to take root. 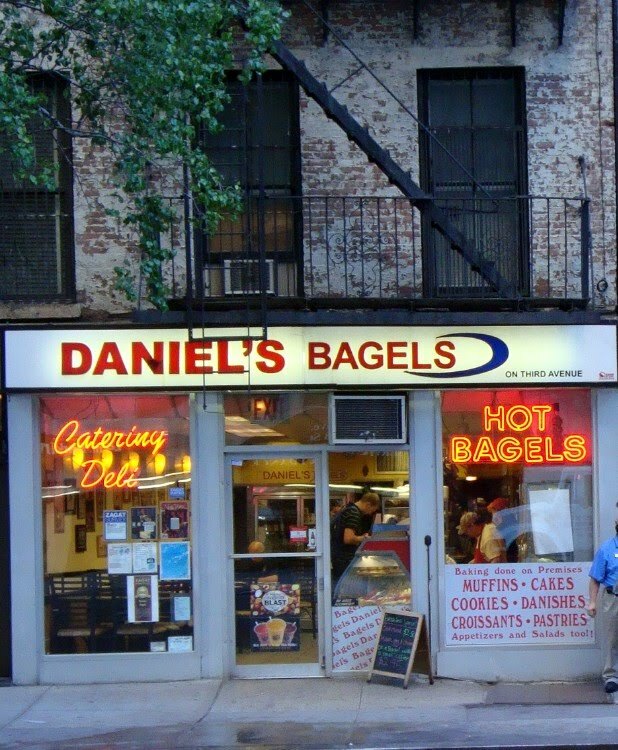 This is as good an illustration as any as to how far New York has come since I move here over two decades ago. 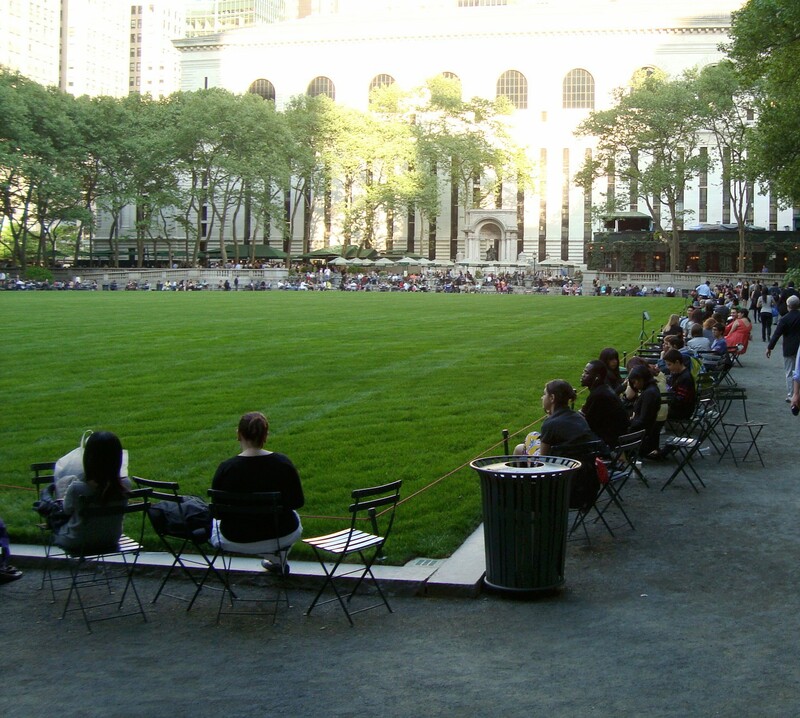 When I got here, Bryant Park was a den of crime and drugs. You didn’t dare go NEAR it. All the dregs of 42nd Street would empty out into the park. At that time, the crackheads would have used the rope to tie up wayward tourists and picked their pockets. Now, it’s clean and full of law abiding citizens. Some people bemoan the disappearance of “old” New York and pitch a fit about the “Disneyfication” of Times Square but take it from me, even though it may have cost the city some of its soul, this is a much, much better way to live. Don’t argue with me. It just is. Today is the 50th anniversary of the publication of To Kill a Mockingbird. It’s the single most important book in my life. I didn’t read a book until I was 20 years old. It’s true! They attempted to force-feed me while attending my below-average schools, but I made it clear that I would only read a book under protest and made every effort to not finish it. I usually succeeded. Flash to age 20. I’m in the Coast Guard (no university for me, thanks!) and freshly arrived in New York City. I didn’t know a soul. I’d not felt so isolated and all alone before or since. At that time, New York was a dirty, overwhelming, scary mess. But I got sick of sitting around and starring at my shoelaces, so I decided to go exploring. I took the R train from Whitehall up to Central Park. On the way, I passed a street peddler who was selling books. I gave birth to, what I imagined was, the most original and exciting idea ever conceived. I was going to sit in the park and read a book. I thought that voluntarily reading a book was a courageous act. I looked over the books spread out on the sidewalk (I can still picture it to this day) and saw a tattered, worn paperback of To Kill a Mockingbird. I remembered that some of my friends in school had to read it, so I thought I’d give it a try. Plus, it was thin and that appealed to me. I sat down on a Central Park bench, opened the book and began reading. I was a different man when I got up off that bench. It was a defining moment. That book sucked me in and I haven’t stopped reading since. It opened a door for me. I became a reader because of To Kill a Mockingbird. What a gift! 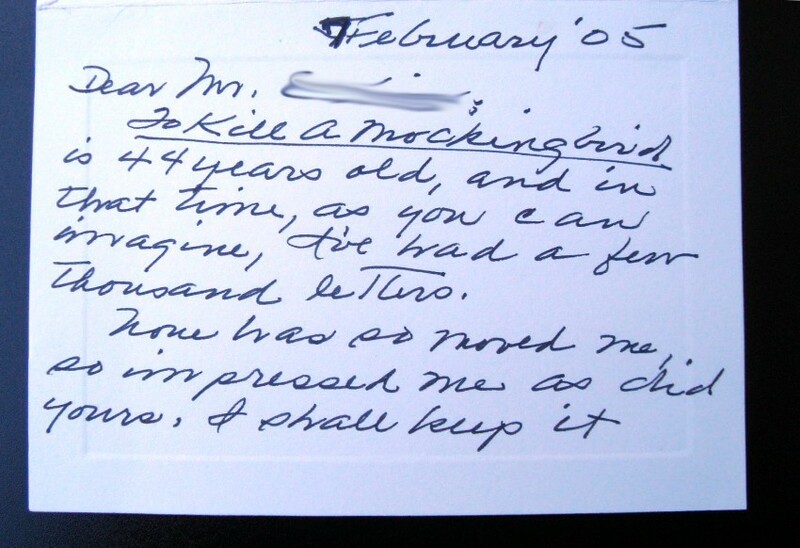 In 2005 I got the notion to write to Harper Lee and tell her how much her book meant to me. I wrote that, because of her book, I’m living a better and more interesting life than someone without a college degree could have expected to. I wrote that I’m a better father to my daughters and honestly don’t know what would have become of me if her book hadn’t introduced me to reading. I worked hard on the letter and was pleased with the results. Harper Lee is a recluse who shuns publicity. All I knew was that she lived in Monroeville, Alabama, so I sent the letter to Harper Lee, c/o Monroeville, AL. I never expected it to arrive, much less be read by her, but I had to get that off my chest. 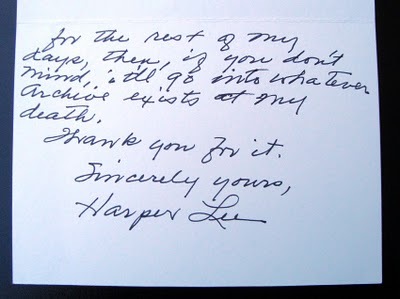 The fact that I moved Harper Lee to write such an elegant thank-you note is meaningful to me. The funny coda is that a few days after that, I received ANOTHER note from Ms. Lee. She couldn’t remember whether or not she sent a thank-you note. Happy birthday, Atticus. Thanks for saving me from a boring life. I promise to refrain from posting any more examples of political extremism that I stumble across (as I did here), but I wanted to take one last shot across your bow to illustrate what I see when I leave the city every night and go home to New Jersey. We ran across this guy when we took The Daughters to the park over the weekend. 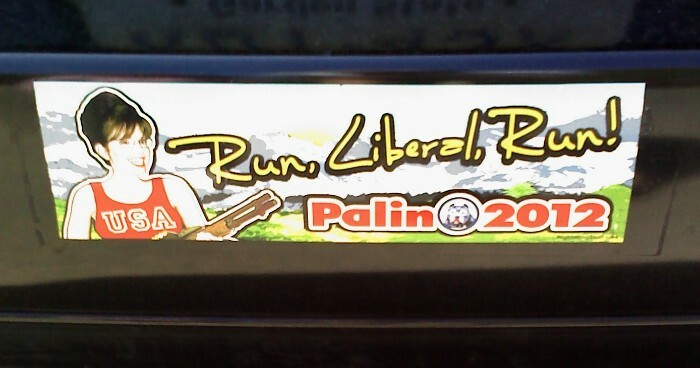 The illustration between “Palin” and “2012” is a cartoon of a pit bull. Because that’s what this country needs. More ignorant babbling from this polarizing idiot. She quit her Governorship on a holiday weekend because she thought it wouldn’t attract as much media attention. Her resignation speech is a classic. If her popularity (and the anger) increases, it might benefit the Democrats in the short term, but it’s going to be bad for my country in the long run. So, if your sympathies tend to skew more towards the Democratic party, please spare me any gloating because if this good ship continues to sink, you’re going down with it. I just came out of one of the finest plays I’ve ever seen. And I’ve seen quite a few. Some beautiful geniuses in London took the most unlikely, dry subject and turned it into a compelling evening. Someone had the questionable idea to write a play about the rise and collapse of Enron. Well, it’s a masterpiece. One for the ages. Fetching to watch, expertly acted, deeply interesting and relevant for today. It helps that I did some homework beforehand. It always does. My head is an empty vessel that needs to be filled. Anytime I see a Shakespeare play, I jam the Cliff Notes version the week of the show. 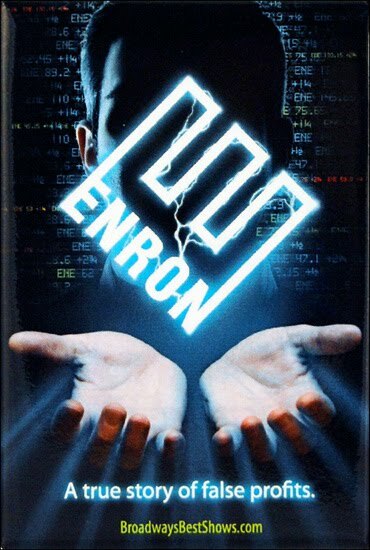 Likewise, for Enron, I recently saw the documentary Enron: The Smartest Guys in the Room and it enhanced my experience. The more you carry into a theater, the more you take away. The dry business of mark-to-market investing is made palpable by actors dressed as three blind mice, red-eyed raptors, neon lightsaber-wielding Jedis, a barber shop quartet (they’re from a rating agency!) and two Lehman Brothers employees who are hysterically portrayed as in-lockstep Siamese twins who speak in high-pitch sing-songy voices. It’s surreal. The stage design is smart and the use of multimedia is brilliant. Initially, I panicked at its 2:30 length but I’d gladly sit through it again. Perhaps I will. Jason, I’m going to have to insist that you watch The Smartest Guys in the Room and then try to beg, borrow or steal a ticket to this show. It’s an unforgettable evening. You should consider yourself lucky that it’s within your geographic reach. I was walking through the tunnel that runs under 42nd Street trying to get to the A train when I stumbled across this guy. 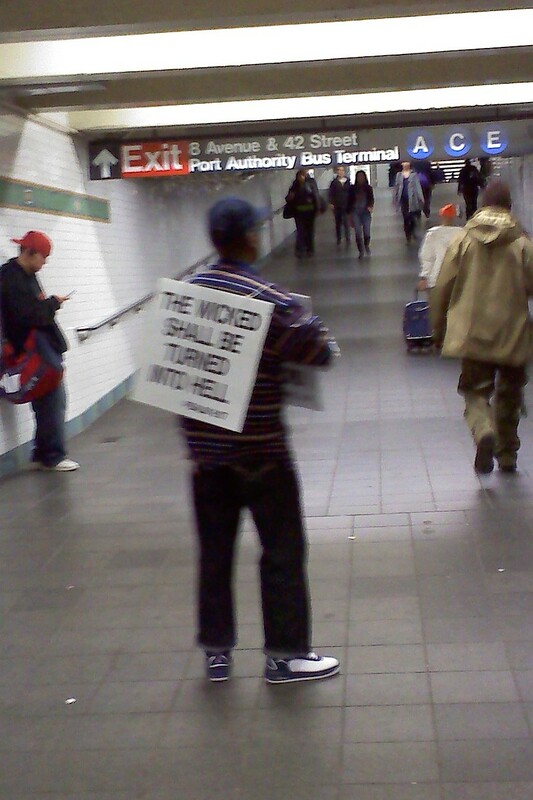 I’m not a believer so I’m pretty sure that qualifies me as being “wicked,” which means that eventually I’ll be “turned into hell.” There are lots of folks like this in the city. People who want you to know that unless you walk the same path they do, you’ll be damned to hell. 98% of the time I don’t care what they have to say. They don’t mean anything to me. But if I’m having a 2% day, it can get under my skin. Don’t judge me. You fuckhead. I’m doing some consulting work at an investment bank. I stepped into the men’s room, closed the stall door and sat down. This was stuck to the door. It’s at eye level when you’re sitting. Or worse? What do you mean? Like, your careless habits can result in someone’s death? 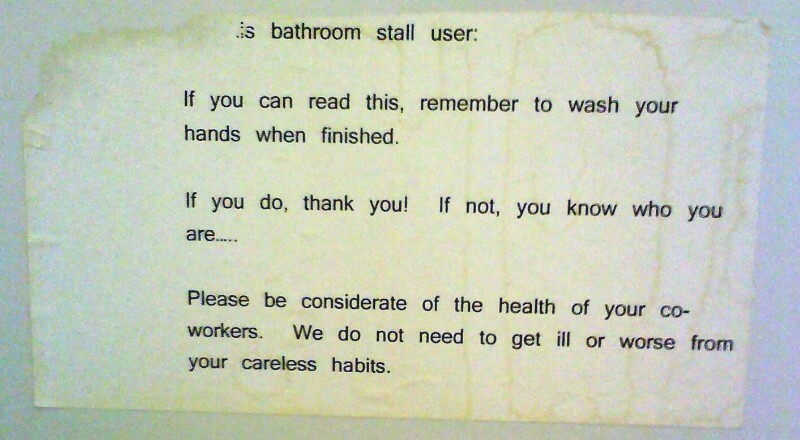 And I like the accusatory, guilt-ridden “you know who you are…” I can’t put my thumb on it but this note has a certain charm to it.